Gecko Rock Private Nature Reserve is nestled in the Nougaspoort Valley, just 25 km from Touwsrivier, and offers visitors an eco-adventure destination. 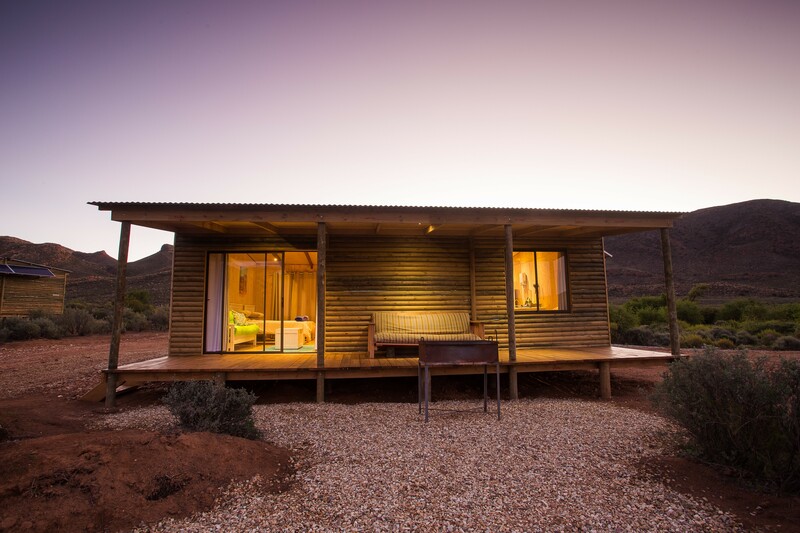 Our mission at Gecko Rock is to offer our visitors an unparalleled outdoor experience in the South African Karoo, one of the most unique natural areas on earth. 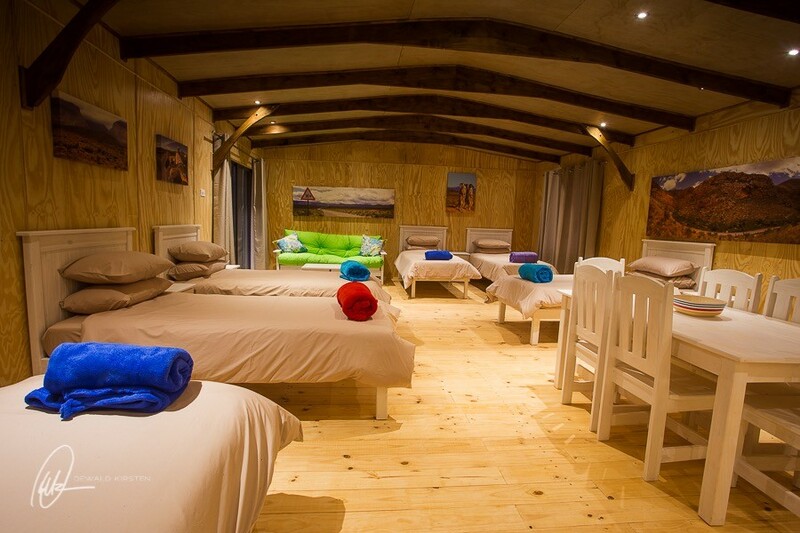 Comfortable accommodation options vary from camping to fully equipped self-catering modern, eco-friendly cabins. Guests can enjoy unspoiled views, unrivaled stars, days and days of hiking, mountain biking, rock climbing, photography and 4x4 trails, or simply just sit in the shade with a good book or your favourite drink. Gecko Rock is located within one of the World’s most unique regions. Known simply as the Karoo. The name, ‘Karoo’ originates from the Khoikhoi tribe, who long ago called the region ‘Garob’ – meaning place of great dryness. The word eventually changed to Carro, and finally its present-day form. Described by Prof. Bruce Rubidge as a ‘Palaeontological Wonderland’ the Karoo basin contains one of the most remarkable records of prehistoric activity – from the Permian to the Jurassic age. Plants and animals abound too – and on Gecko Rock one can observe three distinct vegetation types – succulent Karoo - (vetplante), rhenosterveld Karoo – (shrubs, bushes, and trees) and fynbos Karoo – restios, proteas, ericas.The indigenous game is found on the reserve – leopard, springbok, gemsbok, zebra, grey rhebuck, duiker, steenbokkie, klipspinger, aardvark, African wild cat, caracul and even honey badger. Many bird species including the rare black harrier and Verreaux’s eagle that frequently nests in the valleys and cliffs. Fully equipped for self catering, Rheboksvlakte offers a very private stay. 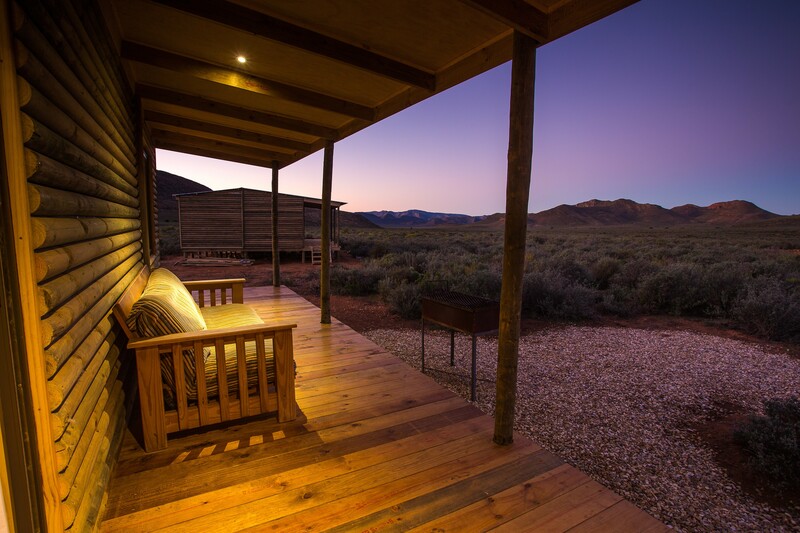 Situated in a panoramic valley the cottage promises a front row seat to the best sunrise in the Karoo. Of wooden construction, the insulated finish ensures cool days and warm nights. Designed for two adults, the cottage will accommodate two small children on mattresses inside or just outside the door in a tent, where they can enjoy their own adventure. Our larger cabins are situated alongside De Wets Rus Campsite and comfortably sleep 6 persons. Modern kitchen area with full size fridge/freezer, 2 plate gas cooker, solar lighting and a plug to charge electronic devices make this your home away from home. A full size stoep with outside table and chairs makes the best of breathtaking views. The braai area is a step down off the deck. All linen (excluding towels) is supplied. Ablutions are a short walk down a neat path where you have a piping hot shower, basin, mirror and toilet. Parking for your vehicle right next to the cabin. Please note: No hair dryers, kettles, heaters etc. to be used in these cabins. Situated under shady trees in an alluvial plain, this site is equipped with four toilets and four showers in two separate locations. The communal area has a generous kitchen, a central braai area with steel braai drums and grids. For those lazy Karoo days, there is a splash pool which is filled from Mid September to Mid April. There is ample space for up to 20 vehicles. The site is intended for properly equipped campers – there is no electricity supply or cell phone signal. For campers who enjoy their privacy there is ample space here to choose & enjoy your own spot with moveable braais for your convenience. Nestled in a private valley, this intimate campsite is ideal for smaller groups who prefer privacy.The shower and toilet is located at a convenient distance from the camp area and the communal area is equipped with a sheltered kitchen, leading to the braai. This is the perfect location for climbers as all three climbing walls are in walking distance.